Originally posted on Sustainable Brands on October 27, 2015. If washing and drying clothes is a major culprit in the environmental waste wars, what if there were more natural fabrics that repelled stains, resulting in fewer washings? One such solution, introduced by Kelby & Co. at the Fashion Tech Lab demo day this summer, is being rolled out in the market next month. Dropel fuses hydrophobic (water- & stain-repellent) nanotechnology with cotton fibers to create enhanced cotton that resists stains as stubborn as soy sauce and red wine. Spills can be rinsed off with a squirt of water. Founders Sim Gulati and Brad Feinstein are working with cotton now, though they say they have the capabilities to blend all types of natural fabrics such as cashmere, silk, linen and wool. “Maintaining natural feel (softness), breathability, draping and all other fabric characteristics are our differentiators,” Feinstein says. He says Dropel is working in the types of innovation usually reserved for polyester. The proprietary development process was designed in a research lab and adapted for mass-scale manufacturing. Feinstein and Gilutai have filed their first patent application for Dropel. While the company is currently working with a handful of luxury menswear ecommerce companies, the team sees the fabric as being suitable for women’s and children’s wear, home furnishings, and uniforms. Dropel Fabrics is expected to come to market soon – the company has begun trials with several brands for Spring and Summer 2016, with some doing full garment manufacturing with the company and others sourcing the fabric. Regardless, the company says brands like that the innovative fabric with embedded technology is a purchase consumers can feel good about. “We feel sustainability and environmental care are elements of our value proposition,” Feinstein says. In 2014, Scientists at City University in Hong Kong revealed a new treatment for cashmere that enables it to self-clean with some help from the sun. The technology coats cashmere fibers with tiny particles of the mineral anatase titanium dioxide. When exposed to sunlight for 24 hours, the mineral starts a chemical reaction creating oxidants that act as tiny electric currents to break down dust, dirt, bacteria and even trickier stains such as coffee and wine. If the project succeeds and is commercialized, it could lead to substantial savings on energy, water, washing liquids and dry cleaning chemicals. In April, textile upcycler Worn Again announced a partnership with H&M and Kering to trial a first-of-its-kind textile-to-textile chemical recycling technology that is able to separate and extract polyester and cotton from old or end-of-use clothing and textiles. Once separated, the aim is for this unique process to enable the ‘recaptured’ polyester and cellulose from cotton to be spun into new fabric, creating a circular resource model for textiles. In August, Swiss upcycled bag and clothing brand Freitag expanded its F-abric line of European-grown and -produced workwear with a compostable, cotton-free jean — the E500 jean line will comprise 81 percent linen and 19 percent hemp. The jeans will contain neither rivets nor nylon thread, making each pair 100 percent compostable after the removal of buttons. And just last month, Levi Strauss launched its Levi’s Wellthread™ Collection, which touts a holistic approach to sustainable product design: The line was made in 100 percent cotton for easier recyclability, by empowered workers — and includes the first garments to feature Levi’s Water<Less™ fabric, which saves more than 65 percent of the water in the dye process, as well as Water<Less denim finishes, which use up to 50 percent less water. Originally posted on The Americanologists on October 18, 2015. 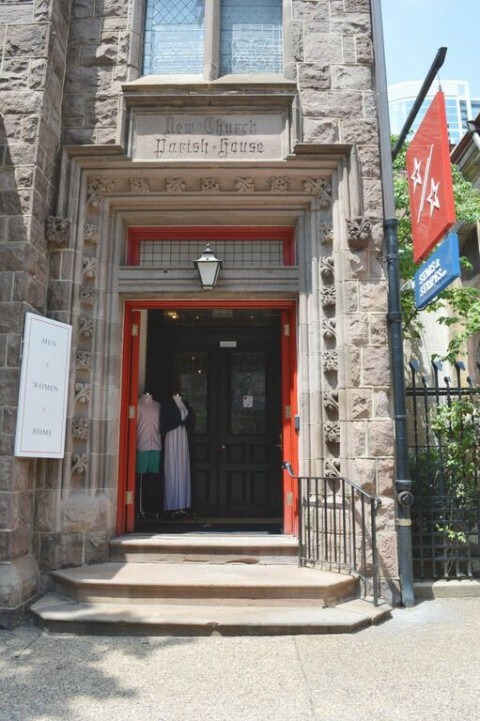 In November of 2012, the giant red doors of Stars & Stripes Ltd. on Philadelphia’s Chestnut Street were opened to the public. The building is a circa-1881 decommissioned Gothic-style church with original wood details and soaring leaded glass windows. 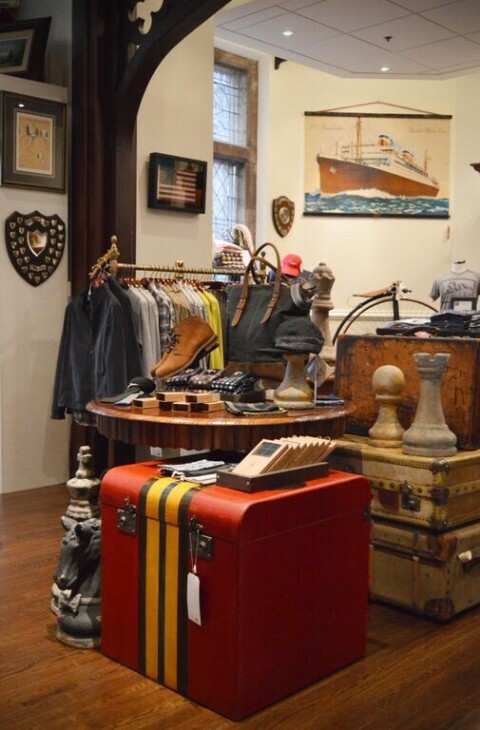 Inside, you’ll find an elegant shop with a stylish collection of American-made clothing and home goods. They filled the space with antique displays, but found it challenging to stock those displays with the Made-in-USA clothes they imagined. Their first season, they found only 30-40 vendors. “We found, in the beginning, everyone wanted to talk about it but no one wanted to do it,” says Robert. “We would stop by booths at the trade shows and tell them that we wanted Made-in-America merchandise. 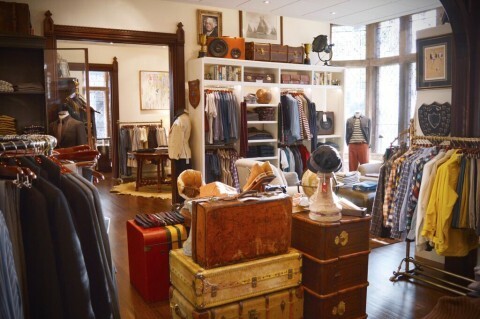 They’d say, ‘Good luck with that’,” says Jan. Now the store, which is meticulously styled with vintage art, artifacts and accessories, has merchandise from close to 175 vendors. They also wanted the merchandise to cater to a range of customers – from the college student to the career person who lives or works in the area. The look at Stars & Stripes is classic American style with a twist. The men’s area is stocked with heritage brands like Bills Khakis (above), which makes sportswear ranging from boxers to overcoats; Haspel,which brings a new perspective to traditional gentleman’s style; Gitman and New England Shirt Co, two storied Ameircan shirt-makers; B. Ella, a knitting mill producing fun and comfortable socks for men and women; R. Hanauer, a manufacturer of classic silk repp ties and bowties, and Schott NY, a company that has made iconic coats for over 100 years. 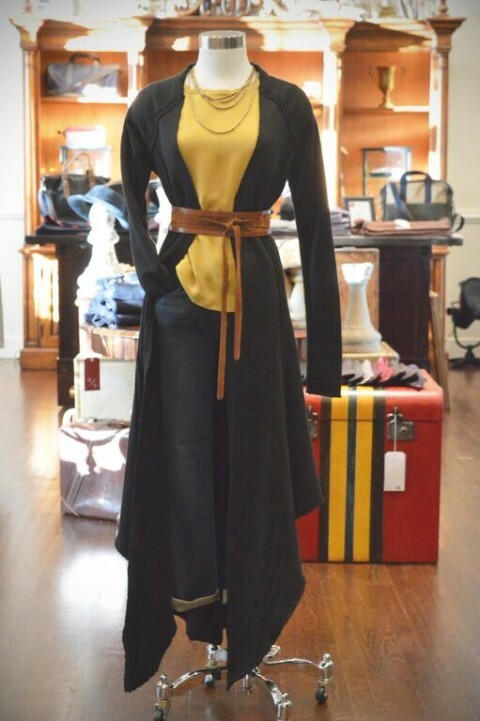 On the women’s side of the store there are Leota, NY wrap dresses, architectural-looking career separates from Nora Gardener, new takes on classic shirts from Bell by Alicia Bell and merchandise from Fresh Laundry, like the sweater coat shown above. In accessories, there’s jewelry by Jan Michaels of San Francisco and Brewster Designs of Lambertville, NJ. Felt and leather Graf and Lantz (Los Angeles) handbags pop on the shelves and are among the most popular items in the store. 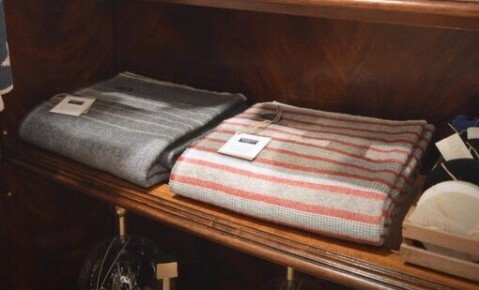 Home pieces include Faribault Woolen Mills throws (Faribault, MN), and Visual Comfort Lighting (Houston, TX). 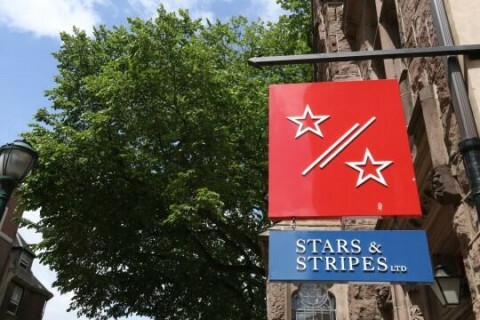 Stars and Stripes Ltd. is open daily 10 to 6, Sundays from 11 to 5. The store is located at 2129 Chestnut Street, Philadelphia PA. They can be contacted at (215) 587-2129. Originally posted on WWD.com on May 20, 2015. 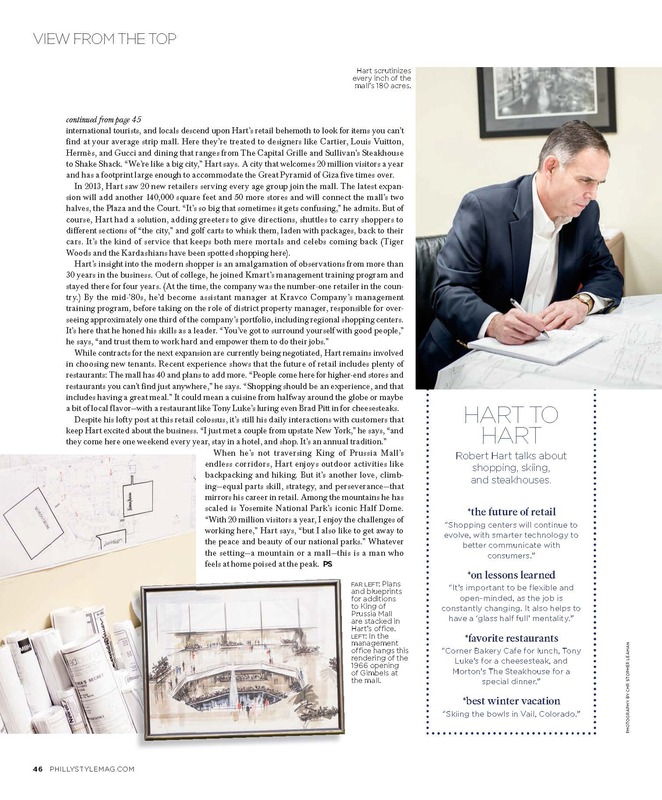 This story first appeared in the May 20, 2015 issue of WWD. See More. In an interview before a recent talk at the Fashion Institute of Technology, Cipriani said he wants to bring that artisanal value back to fashion. As the head and founder of the Ethical Fashion Initiative, a flagship program of the International Trade Centre, which is a Geneva-based agency of the United Nations and World Trade Organization, he and his staff link top fashion talents to more than 7,000 marginalized artisans, the majority of them women, in East and West Africa, Haiti and the West Bank to produce luxury accessories, shoes and textiles. Stella McCartney underscores the value in fair wages and the empowerment of women in making products through the Ethical Fashion Initiative. McCartney and the EFI began their partnership in 2011 in Kenya, where the designer produces handmade accessories with local artisans specializing in screen-printing and tailoring. 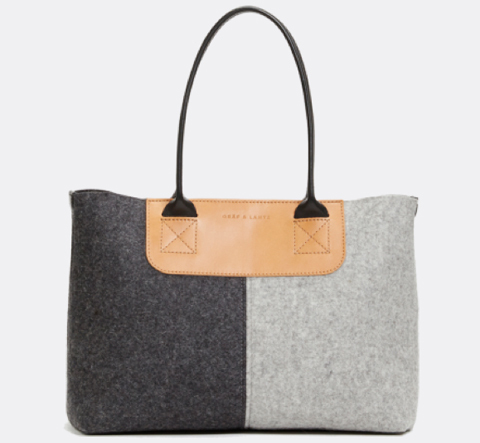 She makes canvas bags there, like the Noemi tote. Ilaria Venturini Fendi of Fendi started working with EFI in the development of her Carmina Campus brand of accessories. She manufactures mainly in EFI’s Nairobi hub. 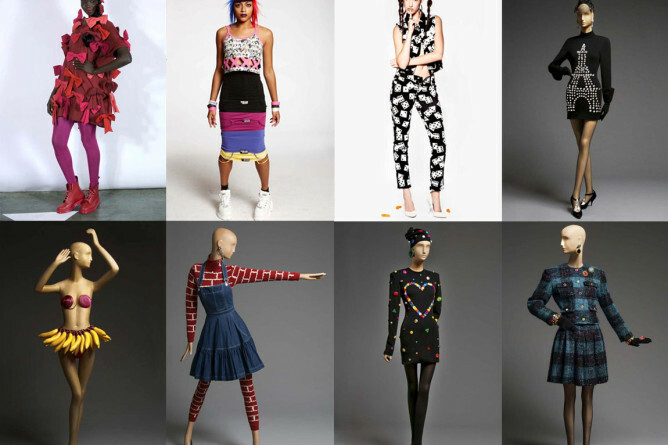 Vivienne Westwood, Stella Jean, Mimco, Chan Luu, Sass & Bide, Karen Walker, Osklen and retailer United Arrows are among other designers who work with EFI. The group also develops and advocates young and emerging designers from these regions like Lisa Folawiyo, Sophie Zinga, Christie Brown and Studio One Eighty Nine, working on product development and connecting them with international buyers. It was while Cipriani was working in Kenya in 2009 that the U.N. approached him with the idea for this initiative. He combed the markets for artisans making sure workers were paid a living wage, helping to lift them out of poverty. “Fashion is a vehicle for capacity building,” he said. In Kenya, where the initiative began producing in 2009, unit volume rose from 7,000 units that year to more than 170,000 units in 2014. From 2013 — when they started with fabric production — to 2014, volume more than tripled from 3,400 meters to 12,000 meters. Production hubs are now in Kenya, Burkina Faso, Ghana, Ethiopia and Haiti and they have begun working in Palestine, Cambodia and Peru. The organization has offices in Geneva and London and expects to open one soon in New York. Cipriani sets up the network that trains and oversees the production until the microbusinesses can be handed over to the communities. Building structures takes time. So does wooing designers to join him in this movement. Westwood, in her 10th season with EFI, is one who has, and she understands the high price of such artisanal wares comes with the territory. Christopher DePietro, her marketing and merchandising director, says a cheap product is of no interest to them — an embroidered canvas clutch retails for $99 while a duffel goes for $438. 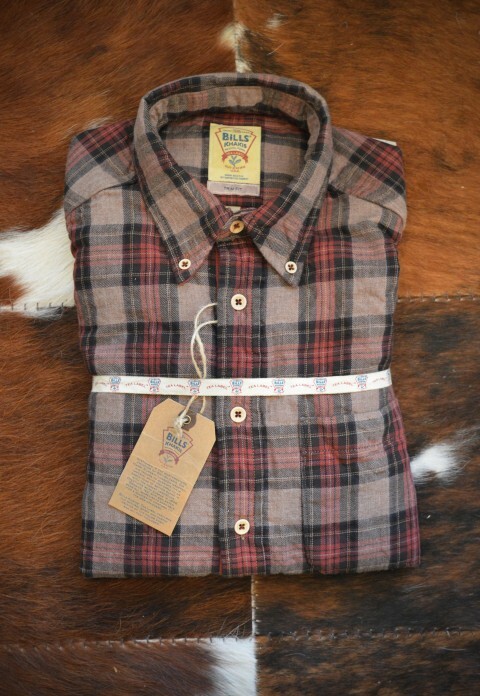 “The driving force is whether it is ethically made,” DePietro said. Cipriani added, “When designers commit, we let them know the boundaries for the country,” like skill sets and materials available. When ITC started working with half-Haitian, half-Italian designer Stella Jean in 2013, she began buying handwoven cotton fabric and natural-dyed bogolan in Africa for her men’s and women’s lines. These vibrant striped fabrics caught the eye of Giorgio Armani, who invited her to show her spring 2014 collection in his Teatro Armani in Milan. Cipriani has other design houses on his wish list: one in particular is Hermès, because of its history of artisan products. Luxury retailer Hirofumi Kurino, founder and creative director of United Arrows in Japan and Taiwan, makes clothing and accessories in Africa including clutches and totes with beading done by Maasai women for their Tege United Arrows line. Originally posted in the Philadelphia Style Magazine on August 18, 2014. Entrepreneur Mary K. Dougherty has made fashion designer Nicole Miller a household name in Philadelphia. Mary K. Dougherty dresses Philadelphia women for a lifetime—from prom night to wedding continued on page 56 day—in Nicole Miller. 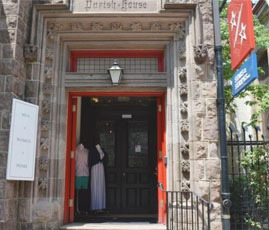 With Konheim’s blessing, Dougherty took the leap of faith and opened the boutique the following March. Void of a marketing budget, Dougherty called in favors, recruiting then Philadelphia mayor (and later Pennsylvania governor) Ed Rendell, sports figures, local celebrities, and Miller herself to attend the opening party. The epic affair was the first of many bashes. “I was told I was nuts to open a store there,” remembers Dougherty, but this spring, she celebrated 20 years in retail in Philadelphia. Nicole Miller produces stylish bags and heels. Dougherty now owns and operates the Center City and Manayunk Nicole Miller stores and is the wholesale representative for the brand in six states. Former Pennsylvania governor Ed Rendell with Miller and Dougherty. The youngest of eight children, Dougherty was already working in the fashion business at 15, first in retail, then for a clothing rep in Philadelphia, and even doing some modeling at fashion trade shows. When she was recruited to work for Miller, the designer was the enthroned queen of the little black dress, a new icon of contemporary women’s fashion. But it would be the printed men’s tie—made of leftover fabric from a seasonal collection—that sold thousands and made the designer a household name. “Nicole Miller is an incredibly talented designer who makes my job easy,” Dougherty says. 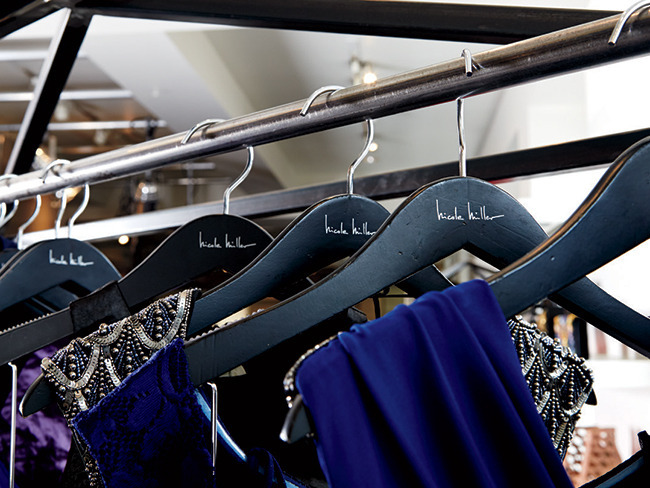 The Manayunk and Bellevue locations stock dresses for every occasion. Success has also created numerous opportunities to give back, and Dougherty and her family—husband, Erik Neumann, and teenage sons Nyle, Alex, and Ryan—are longtime supporters of Homefront, Juvenile Diabetes, and Philadelphia Academies Inc., where friend and famous customer, Philadelphia’s “first lady” Lisa Nutter, is president and chairman. “The charity work is hers alone,” gushes Konheim. “She does honor to our brand name.” Philly-themed printed ties and scarves were a recent merging of the two spheres—a hit for the retail stores with proceeds going to area charities. 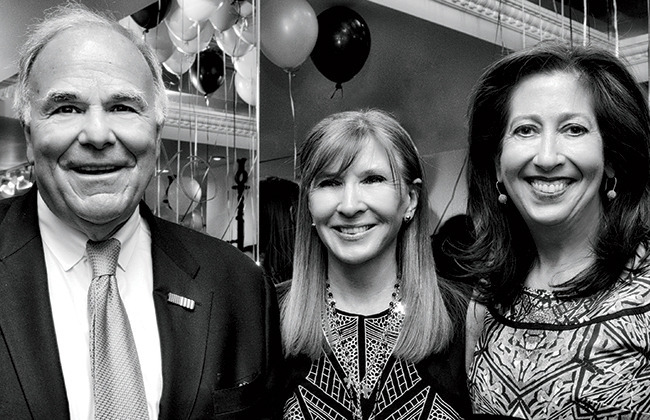 TWENTY IN PHILADELPHIA: Designer Nicole Miller, chief executive officer Bud Konheim and Mary K. Dougherty, who owns and operates both Nicole Miller Philadelphia boutiques toasted 20 years in the city at her Bellevue Hotel store in Center City. Some 200 guests enjoyed music, Champagne, Millertinis, hors d’oeuvres and an interactive photo booth while models showed looks from the past two decades. “It’s been an extraordinary journey with Nicole Miller,” said Dougherty, who has been a rep in six states for the brand. 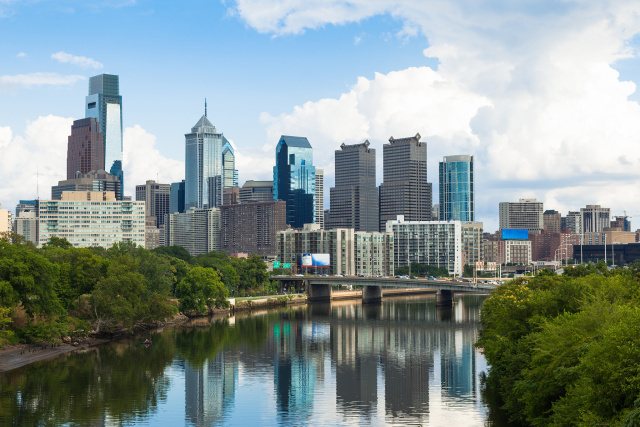 Philadelphia has been one of the designer’s best-performing cities since the brand set up retail locations there in 1994. 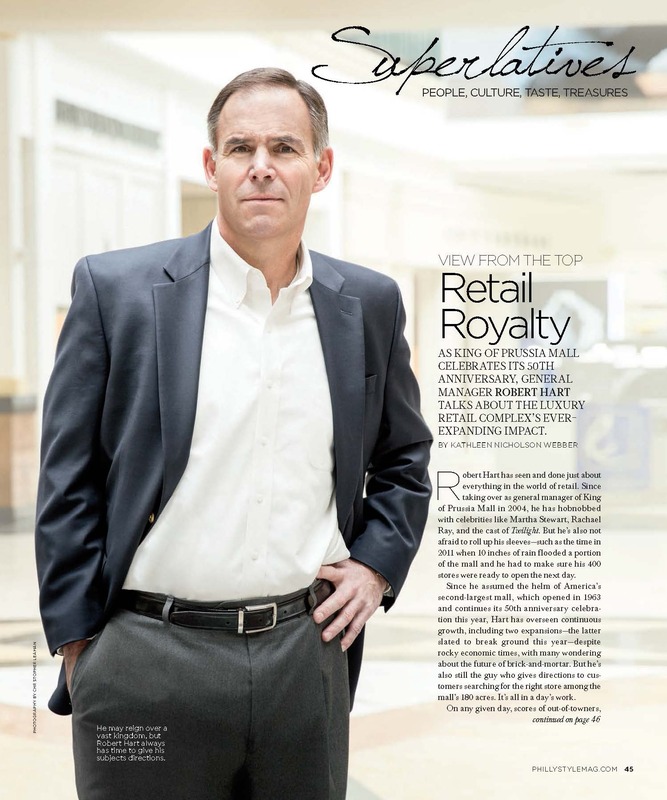 Originally posted in the Philadelphia Style Magazine Spring 2014 Issue. Originally posted in the Philadelphia Style Magazine on August 26, 2013. Opportunity knocked again last summer when a friend and former boss called about designing a juniors collection for Macy’s based on Marilyn Monroe. To design her boards, Denenberg watched Monroe’s movies, pored over books about and photos of the starlet, and studied vintage pieces in her own closet. The collection debuted in select Macy’s stores this past spring and was such a success, it will be shown to other stores next spring. The project’s pace is dizzying, even for a seasoned sartorial pro. There are new style groupings to create each month, trips to Asia every three months, and “testing” of new styles with her teen granddaughters. While she works in New York, Denenberg’s love for Philly runs deep. She graduated from Northeast High School and attended Moore College of Art & Design to study fashion illustration and later fashion design. When she was a junior, designer Emil DeJohn, now a professor at The Art Institute of Philadelphia, presented her with a fashion critics’ award, and a friendship was born. “Joi’s work was so beyond everyone else’s,” says DeJohn. “It was extraordinary and she didn’t realize it.” Denenberg worked a summer job at Villager/Ladybug (where she first met Kimmel and local designer Rena Rowan) and decided to stay, leaving school early. But it was reconnecting with Rowan years later—through a chance phone call with a mutual friend—that changed her course. Rowan, then at Jones New York, offered Denenberg a job. For nearly 21 years she helped invigorate lines The Jones Group bought or secured a license for. 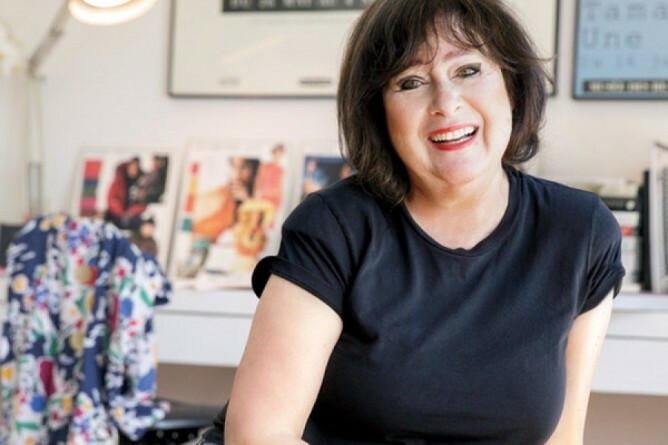 As executive VP of design, she and her team created collections for Anne Klein, AKAK, Evan-Picone, Christian Dior, Ralph Lauren, and Jones New York. While there, she remained close to DeJohn, donating funds to the fashion department of each school he worked for. “She is like a fairy godmother to the students in Philadelphia,” he says.